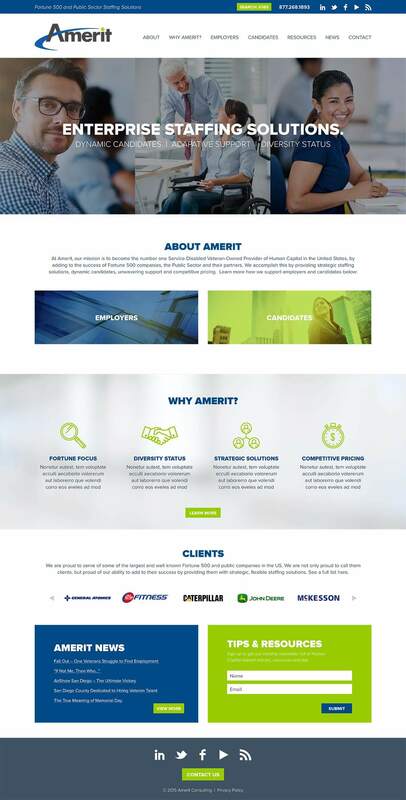 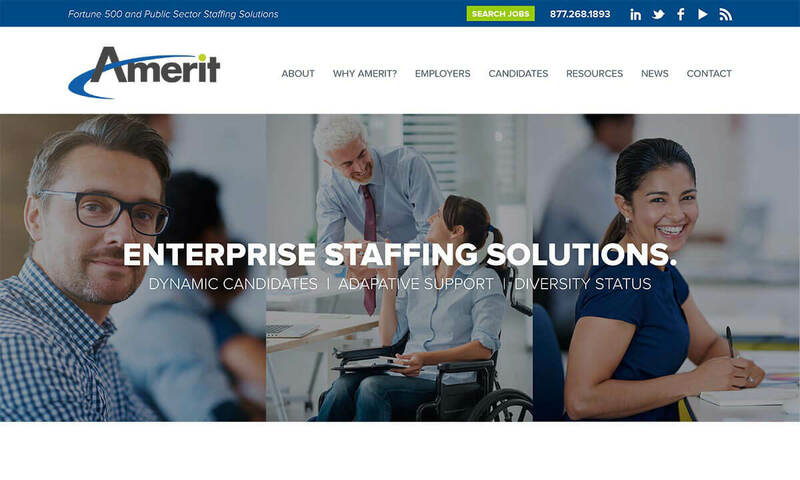 Amerit is a staffing and consulting firm that works with enterprise-level companies throughout the United States. 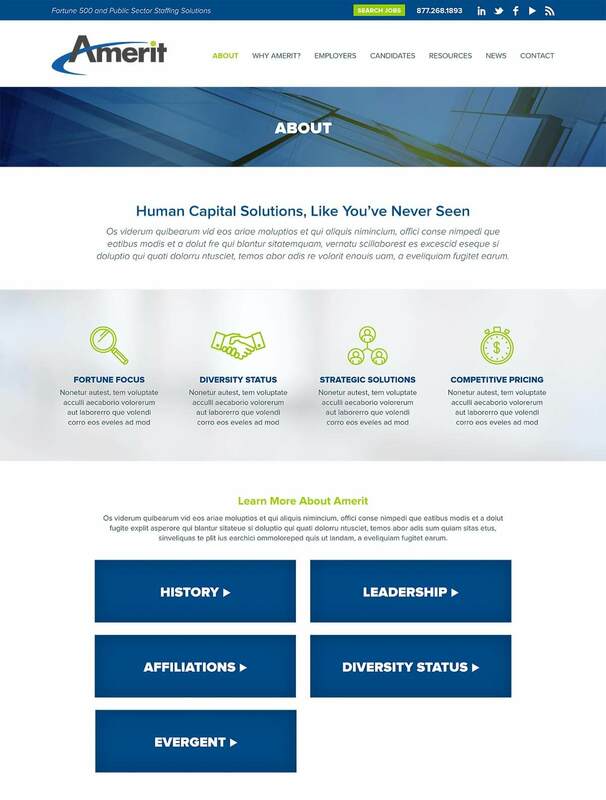 Bop Design was hired as their B2B marketing agency to create a new website design that highlights the consulting firm’s unique value proposition–communicating a clear message about differentiators to both client and candidate. 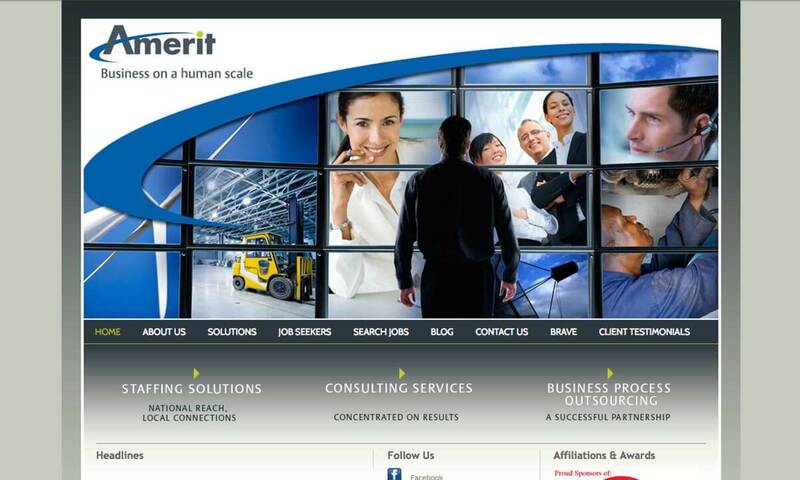 The new web design serves as a marketing platform that is a B2C and B2B marketing tool.